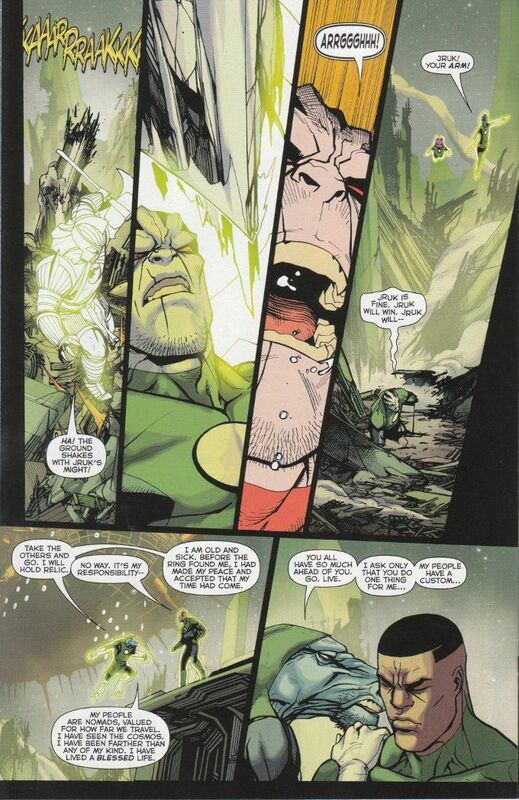 Picking up right where Green Lantern #24 ended, Green Lantern Corps #24 sees John Stewart taking the fight to the energy-draining villain Relic. At the same time, the rest of the Corps attempt to evacuate their home base on Oa, fighting a running battle against Relic's technology and the incarcerated villains eager to flee the collapsing planet's prison. Van Jensen does a fantastic job with the script. The characters are all made distinct through the dialogue and all the Corps regulars are given some time on-camera. Even the newer rookie Lanterns get their moments to shine - no pun intended! The only weak spot is some Air Force/Marine rivalry added into the dialogue between Hal and John. While I welcome anything to give the characters more personality, this seems uncharacteristically antagonistic and detrimental given the mission at hand. 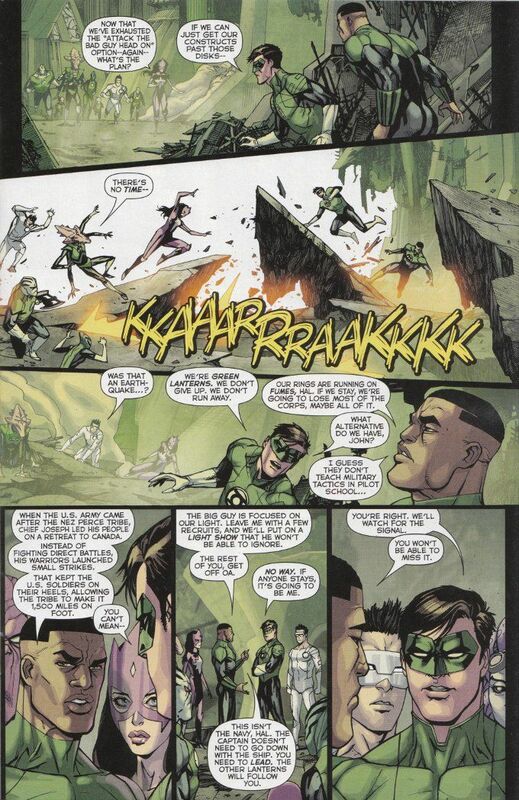 Bernard Chang is easily the best artist currently working on the Green Lantern family of books. His talents in depicting the various unusual aliens consistently is unparalleled. He's also a brilliant fight choreographer and no slouch when it comes to creating imaginative ring projections.